We now open at 7am on Fridays, Book your appointment now! If you decide to purchase additional treatment, you have the legal right to change your mind within three days and receive a refund. Medicare and Medicaid patients exempt from this offer. 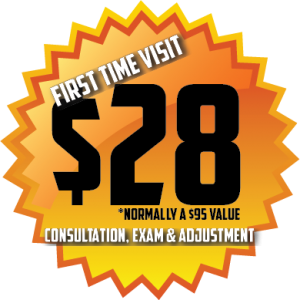 Thank you for visiting Preston Chiropractic & Acupuncture – your home for family chiropractor and acupuncture care. We have been providing great chiropractor adjustments, back pain relief, accident injury treatments, acupuncture, and medical massage therapy to Cary, NC for 12 years. Our time-tested and practiced chiropractic and acupuncture therapy is safe for all ages. This makes this the family chiropractic office of choice. Annoying back pain, auto accident injuries, and improper nutrition is resolved at Preston Chiropractic & Acupuncture. Our Chiropractors and Acupuncturists are friendly, family-oriented, and very qualified. With your complete health in mind, we strive to excel in your unique chiropractic and acupuncture needs. Established in 2003, we have been the trusted Chiropractors of choice for the people of Cary, NC. Our office features frequent open houses, events, and is active in the Cary Community. We are continuing to strive towards positively affecting Cary, NC with our therapy, outreach, and open arms. Feel free to stop by during business hours for a tour of our facility. You can also like us on Facebook to help spread the word! It’s that time of year. Please vote for your favorite chiropractor and day spa.